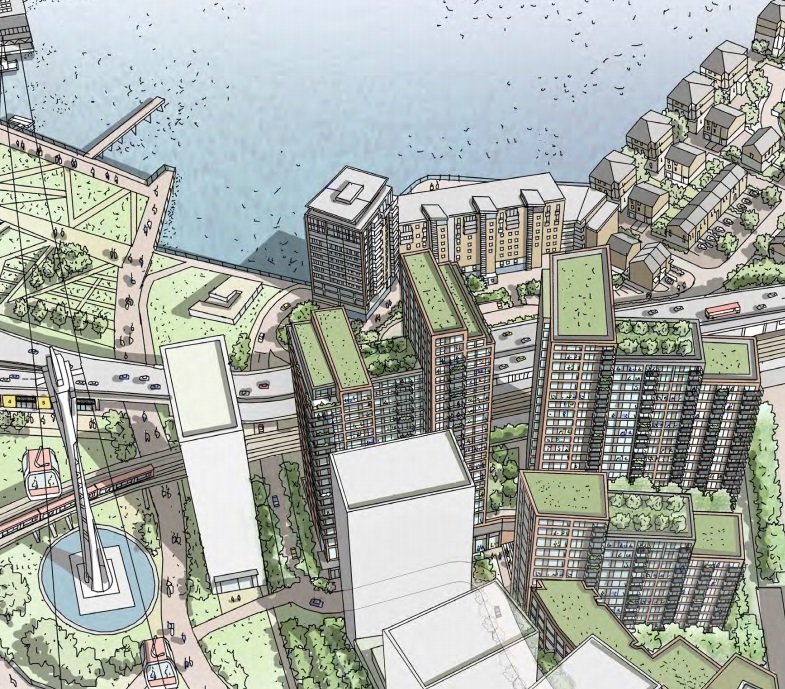 Plans have been revealed for a vast development at Silvertown that would see a long-planned DLR station built on the branch between Woolwich Arsenal and Canning Town. Thameside Wharf station would be built between Canning Town and West Silvertown stations. It’s been on the drawing board for years and is programmed into DLR displays. It’s part of a £3 billion scheme that covers a vast area and would see 5,000 homes, 75,000 sq ft of retail space, restaurants and bars and a primary school. 5,000 homes actually seems a relatively small amount for the size of land – even allowing for City Airport height restrictions. 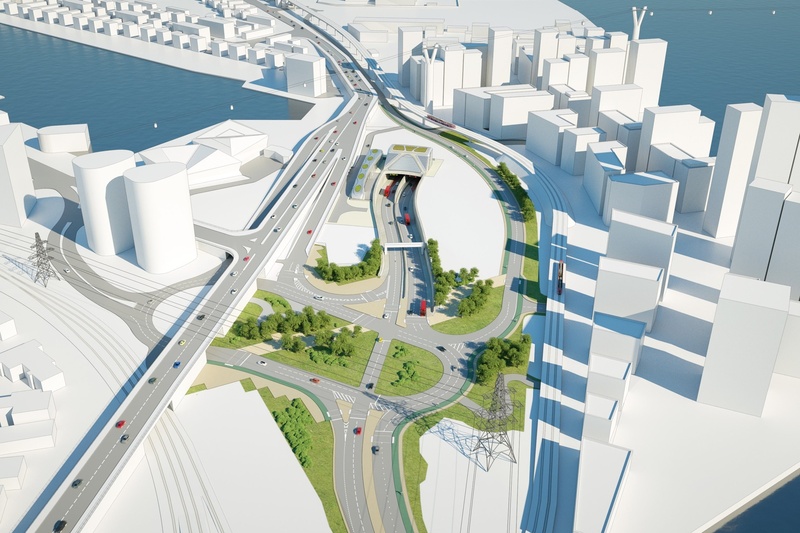 The site is being developed by the GLA and Keystone London. 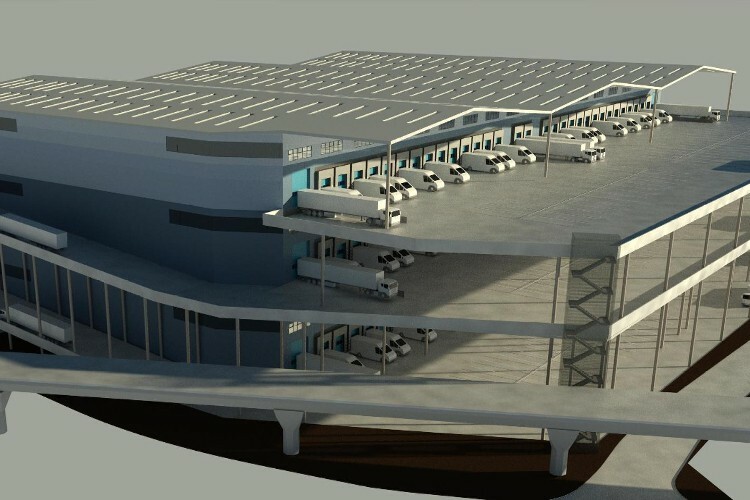 To the south-east a controversial three-story distribution centre is planned with a huge number of daily lorry movements. Local residents are already unhappy about the prospects of pollution. 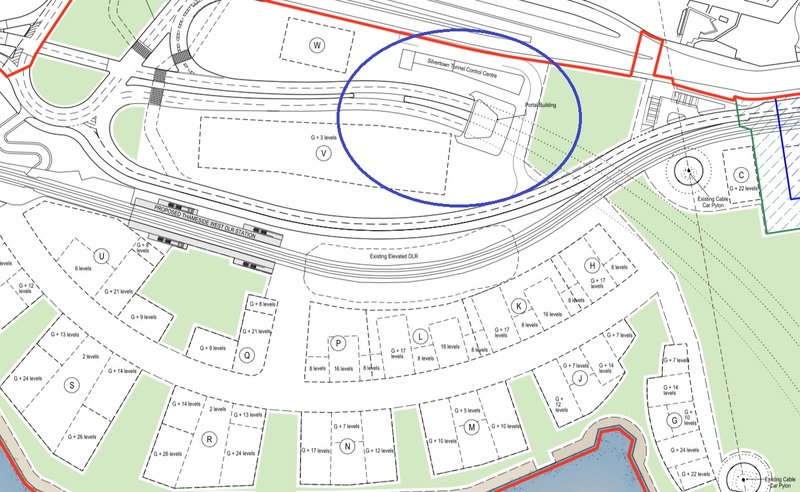 New residents to this scheme will be sandwiched between the tunnel and lorry park. 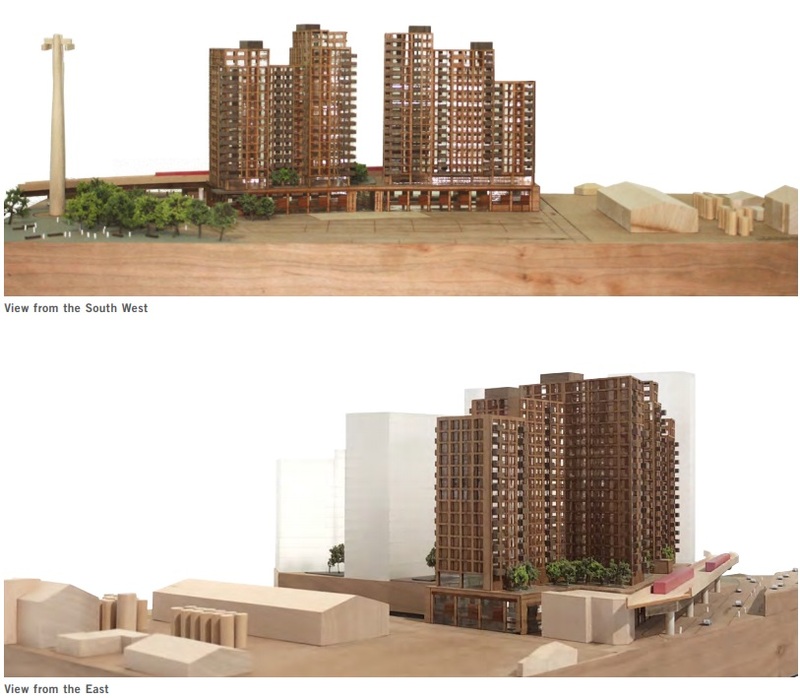 460 homes are proposed for the first phase with the rest of the site following later. It will see demolition of former Carlsberg Tetley brewery buildings which are now used as artist studios. Funds to build the station need to be spent by 2023. Hopes that Crossrail would offer a respite to the DLR system as older trains become ever more unreliable look to be squeezed by Crossrail’s delays and ever more homes being built. New DLR trains will only arrive for testing in 2022 with 2023 the likely introductory date. The 474 bus currently passes the site but will be diverted later this tear meaning the area will lose a 24 hour bus service. The Planning Statement does not acknowledge changes to buses. Just 32.5% of homes are “affordable” with no detail as to what bands of affordable will be on offer. This is below the GLA’s target. One does wonder what hope there is when even derelict land in an unfashionable location still cannot provide the bare minimum target of “affordable” homes and is deemed “unviable”. Which actually means profit margins of at least 20%. 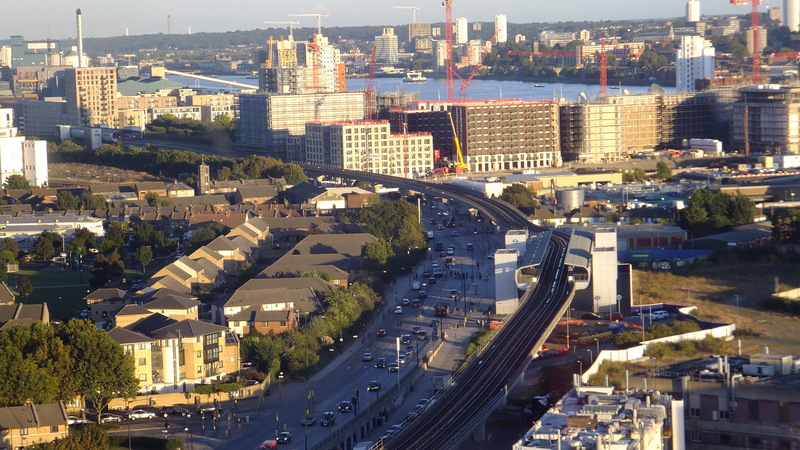 The DLR station is costing £13 million from TfL funds with £10 million from central government – not huge sums in the grand scheme of a 5,000 home project where riverside sales would be expected to cross-subsidise a greater number of low-cost homes. Click here to see the planning application.